Remember in grade school when there would be those school-wide hearing and vision test days? Gauntlet Hair is sort of like that, except the exact opposite. Instead of trying to identify soft beeps, you’re assaulted with some of the nosiest, most distorted guitar tracks I’ve heard in modern music. But no matter the amount of fuzzy lyrics or broken sounding bass drums on the album, it all works. And therein lies the magic of Gauntlet Hair. From their first self-released demo to this debut effort, their sound as remained exactly the same, a muffled but insanely catchy mix of reverb and cymbal crashes. Take “Top Bunk” for instance, one of the better tracks on Gauntlet Hair; the vocals sound like they were recorded in an empty, 8,000 square foot warehouse. The words bounce off every wall, creating a dizzying effect that is only doubled by the keyboard snares and hollow bass. What pulls “Top Bunk” together, as is the case with many Gauntlet Hair tracks, is the bouncy surf-guitar rhythm. There are certainly deviations from that pattern as well, as some tracks take on a more distinct rock ‘n roll aesthetic, clinging less to their indie credentials and embracing classic motifs. “My Christ,” for instance, sounds like classic Soundgarden single played through an old broken boombox. But even on these more obvious sounding tracks, Gauntlet Hair is a force all unto itself, a unique sounding record that, love or hate the distortion, is sure to get stuck in your head. And credit to Gauntlet Hair for taking the road less traveled in terms of the album tracklist. Their previous single, released on hipster-chic label Forest Family Records, was omitted from the final product. There are no retreads on the album; all the material is completely new, which, in today’s landscape, is an accomplishment in and of itself. 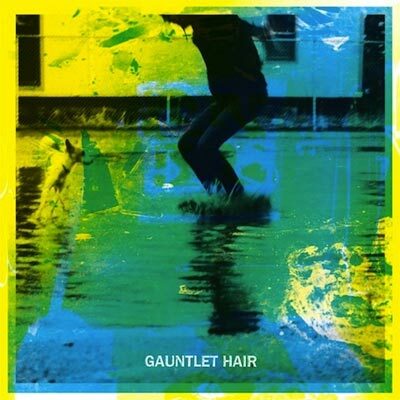 You’ll know from the first track whether you’re going to love or hate it, but Gauntlet Hair is absolutely worth checking out.